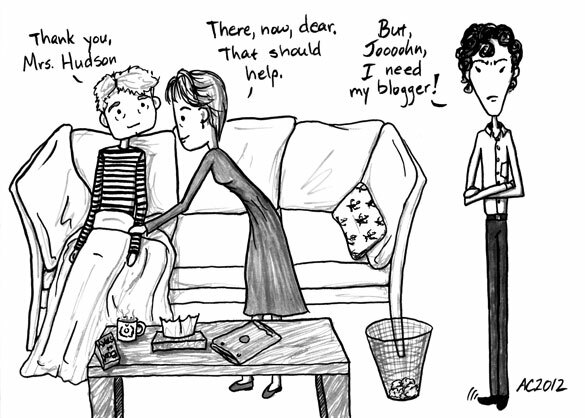 It took me a bit, but I’ve finally finished the sequel to The Death of Me, the 6-panel comic in which Sherlock gets a cold and poor John has to take care of him. The tables are turned, John’s the one that’s ill now, and we get to see how Sherlock fares with his blogger out of commission. The originals were commissioned by my favorite kiwi, but there will be a print available in my Etsy shop at the end of the week.